Quora advertising is one of the most affordable platforms for any advertisers. What makes the platform more attractive ? is a large number of interactive audience. 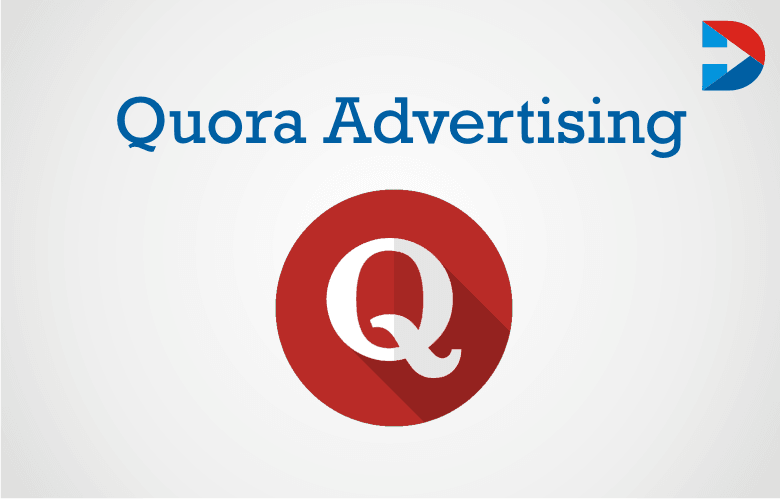 Here is the complete guide to Quora Advertising. Advertisers who are on the budget can efficiently use this platform for marketing. Conversion is guaranteed with Quora ads as it has real and interactive large audience. Quora ads were launched in 2016 and are slowly becoming popular. The domain of Quora is to provide information through questions and answers. A large number of people visits the platform to search for information about industries, products, and companies. Information on any topic can quickly found on the platform. To advertising on Quora, marketers have to create an account. Quora Advertising allows getting access of Quora Ads Manager. It is straightforward to open the account on Quora and post the advertisements. To create an ad on Quora, we have to choose the headline/tagline, provide a description, landing page URL, ad content and the call to action to include. A new ad created on Quora or a pre-created advertisement can import. There is also an option to preview the ad. The account holders can edit the generated advertisement as per the requirements. After creating the advertisement, the markets can set filters for the targeted audience. The audience can select by platforms, devices, topics, etc. Choose the Select Target option and then either create a new ad set or import from an existing ad set. Quora also asks to set the budget to choose the CPC bid as per the budget. Name the campaign, set the budget and add Quora conversion pixel to your website. It is also allowed to select the start and end date of the campaign apart from posting it immediately. The metrics that are shown by Quora for the ads are delivery, impressions, clicks, cost per click, conversions, spend and the remaining budget. One of the most significant benefits of advertising on Quora is targeting the audience. Quora Advertising is one of the leading platforms for targeted advertising. Another advantage is that there are vast ranges of the topic on which we can advertise. Demographic advertising is also possible on Quora. The diverse pool of visitor comes to Quora in search of information. These audiences targeted by advertisers at one place. There are more than two hundred million monthly visitors for Quora. Having large numbers of the audience is not sufficient; there are different sections of an audience on Quora which helps the advertisers to target their audience. Another benefit with Quora ads is that marketers can advertise to the more engaged audience. The ads and the posts showed along with high-quality content because of the moderation policies of Quora. Another benefit is that the results can be measured very easily. The standardized metrics of Quora help to track the conversions. ROI can measure with ads manager feature. Quora advertising is straightforward and simple. Any business irrespective of the size can use this platform to target traffic based on the topic, location, etc. Businesses should create campaigns separately for desktops and mobiles. For text ads, the abbreviations and capitalisation should use correctly. Quora expects that the text ads are of high quality and should, therefore, adhere to the policies and guidelines of the platform. There should not be any grammatical errors. The campaign structure of Quora is identical to that of Facebook. Importing the existing ad setting helps to create the ads very quickly. It is essential to introduce keywords to find the topics to target the audience. Businesses must ensure that the ad is showing up on questions relevant to the target audience. This can be done by excluding queries and location at the announcement set level. Businesses can avoid a location where there are no operations. Quora offers the engaged audience, quality content and high user intent to the advertisers. Measurability is another advantage of Quora advertising. The success of Quora ads depends on how active the user is. The profile of marketer should be genuine and trustworthy. The answers should be well written and should be useful to the readers. Include a link of the website to drive more traffic and gain exposure. Follow relevant topics and also use the answers to promote the content. Focus o what the people are searching for in Quora and use the information to create content that is helpful to them. Quora helps the businesses to become an authority in the industry. Keep answering questions related to your niche and the marketing will yield right results in few days if not immediately. Quora can also use as a customer service channel. Businesses can answer specific questions related to their products or brand and the industry. This can be done b setting up the name of the company or the product as one of the topics. Businesses irrespective of size are using Quora as this is very beneficial and easy. Quora allows creating and publishing ads from mobile apps. Quora advertisements can be text-based or picture based. Both the formats can designed efficiently. Quora offers high-quality traffic for the businesses. It is effortless to learn to create and post Quora ads. Quora is giving tough competition to Facebook and Google ads. Companies should make use of the opportunity to promote their businesses via Quora ads.